Once again, the misplaced idea that teachers aren’t doing their job was out for all to see in yesterday’s news reports. Yesterday morning I awoke to a text message: ‘About time teachers have to prove themselves to get a pay rise.’ At first I was perplexed by the randomness of a text at 7:02am, yet an hour later, upon looking at the morning’s Herald Sun, it all made sense. There are really two issues at play here. One of them is understandable, however ill considered; the other is a nagging cultural problem that needs to be addressed. The understandable yet ill considered part is the government holding teachers to greater scrutiny based on results. Sure, it sounds great in theory. 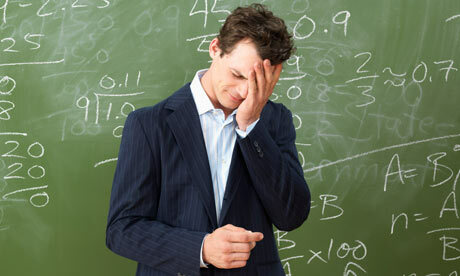 Why should teachers who don’t ‘teach’ earn more money just cos? You know, it’s just that simple. Teachers teach, students learn, everybody wins. And results? Well it’s all about test scores right? Sure, why not. We’ll just cancel out all the other work that teachers do because school is a learning factory after all. So hey, it should work fine because I love going to work every day just knowing that the teach-learn scenario naturally flows like clockwork. It’s like a neat little production line – I instruct my students on the day’s learning activities and they do them without complaint. They collectively submit their work with little prompting from me, and their results increase tenfold because I know stuff and at the end of the day they’ll know stuff because I taught stuff. The other issue at play with yesterday’s news is the really annoying part – the part that really pisses me off – that nagging cultural problem I mentioned. It’s that dumb mentality built on the premise that teachers are slack, lazy, ineffectual bludgers who don’t work hard enough and thereby fail our kids before jetting off to enjoy the good life on the too many holidays they get each year. Oh, and those weekends! Not to mention the cruisey 9am-3pm work cycle. It’s upon this premise that compels people like my friend to send me texts at 7am in the morning, exulting that teachers will now work for their pay. There are many people out there like him who hold such beliefs about teachers. They all remember their own school days, and apparently it was the teacher’s fault they didn’t perform well at school. It had nothing to do with responsibility for their own learning. So with this in mind, it is rather easy for a politician of any political persuasion to score points by admonishing teachers. It’s generally well received by the public…‘Yeah, they should be working harder, that lot. I remember when I went to school, bloody teachers were useless.’ Ah yes, those teachers, living the good life while our kids suffer. Think of the children. To be fair, not everyone shares these beliefs. There are people in the community who wholeheartedly respect the profession. They tend to be people who live with a teacher. So let me first debunk some of the myths that circle all too commonly out in the suburbs. The myths that make the ‘teachers don’t work hard enough’ narrative so palatable in voter land. We currently have 1,046,788 students in our universities. Not that admission into tertiary education is the only marker for success, but it’s a hefty figure nonetheless. Truancy rates are down, and schools currently offer a wider variety of programs ranging from welfare to community engagement that stretch way beyond the classroom. All of which require teachers to run them. What schools and teachers are expected to do has only increased with time, yet somehow the idea that school is all about the classroom and only the classroom continues to take hold. When we are talking about achievement variation and what influences it, students account for 50%. So if the student is personally responsible for 50% of their learning, what is the breakdown of the other 50 percent? Home life: 5-10 percent. Peer influence: 5-10 percent. The school: 5-10 percent. Teachers: 30 percent. Now 30 percent is a significant amount, and teachers who can maximize this 30 percent influence are our most effective. Yet what is telling here is that 70% of a student’s learning is essentially out of the individual teacher’s control. How can the teacher be held accountable for a student whose parents show little interest in their child’s education? Why should a school be judged on the underperformance of a grade three student whose parents never read to her at home? From my personal experience, I have consistently found that the students who perform best are those who have come from homes where the parents are engaged and interested in their child’s education and wellbeing. Note, I said short list. There are more extra-curricular activities that teachers do because of their passion for the job. Yet the above activities don’t rank on literacy and numeracy test results that are often used as the sole measuring tool for a school or teacher’s success. But hey, we should be judged solely on results, right? My watch must be broken. It keeps saying that it’s 6pm when I climb into the car to leave work. It really must be 3pm because so many people keep telling me that’s when my profession knocks off. I must be pretty good then, to fit in all those meetings, phone calls, parent conferences, tutorials and lesson planning into a six hour day. Oh, and I forgot to mention correction and report writing; apparently those things just don’t exist. You know, because unit plans, correction and report writing just works itself out, I don’t need the extra time to do this during term. I’ll just work on it during my 9am-3pm working day and it will all be sweet – don’t sweat it. The kids won’t mind rocking up a few extra weeks during the year. I mean, 10 week terms, what are we thinking here? Let’s just do the four week break at the end of the year and have one big 40 week term. It’s what everyone else does. The teachers can just deal with it. Kids don’t get tired or irritable. They’ll just learn more and teachers will finally have to work all year like everyone else. Myth number 6 – Nah seriously, you teachers do get too many holidays. Admit it. If teaching was so easy and the holidays so plentiful, then why does the profession have one of the highest turnover rates? Why is teacher burnout still an issue? What’s written above are the most common jibes that I’m sure pisses every teacher off. It seems that everyone is an expert on teachers. How hard could it be? Isn’t it your job to make it interesting? If a kid is bored in your class then it’s your fault! Sure, but does this mean I shouldn’t teach to the standardised test that my results will be judged on? Because that’s not interesting. Tell me, when can I plan to make it interesting if I’m leaving work at 3pm every day? I must just make it all up on the fly. Oh whinge, whinge, whinge. All you teachers are whingers. It’s within this cultural framework that governments pass policies designed to make teachers more accountable and thus embed result driven pay structures. I’ll state clearly that I believe teachers should be efficient, reliable, organized and passionate about their job, as should anyone in their chosen profession. They should plan and assess accordingly, as well as engage in the myriad of tasks required of them on a daily basis. Yet if teachers are going to be held accountable on factors that are largely out of their immediate control, (remember the 70% stuff I talked about earlier) then how is this fair? But you’re the one teaching them! Surely when they’re in your class they should always be able to learn! Hello year nine. Alright I’ll just get all eyes to the front while I mark the roll. Annie? Not here? Kane? Yep.Brooke? Brooke? Okay not here. Beth? Away too? Hmm, looks like the rest of you are here though. I’ll just have to catch up with those guys when I get a chance. Alright guys, books out. We’ll be working on the persuasive essays that we started yesterday. Okay, use some blank paper today but make sure you find those notes from yesterday when you get your book again. Girls, why are you late? Right, make up the time at the end of the class. In the meantime please get your books out from yesterday. Remember the persuasive language essay that we started? Okay well it’s in your books if you have a look. **Back to addressing the class** Anyways, what I’d like you to do guys is..
Brodie? Brodie? Come on, let’s get on with it. Yeah well me too, but how about we finish this paragraph? Yes Jack’s here. Jack, off you go. Make sure you catch up for homework yeah. Okay guys can I just get eyes to front? You get the picture. This is before the instrumental student arrives thirty minutes late because of his guitar lesson. I should probably make sure that he learnt every single thing too. I should probably also touch base with the teacher’s aide in the room to ensure that the three students with learning challenges are coping. And I better not forget to follow up on the three absent students. I’m pretty sure I saw one of them at school earlier today? Why aren’t they in class? Now the point of this is not to elicit sympathy or tell some woe-is-me story. I love my job and the challenges it brings. I’ll also add that obviously not every class goes this way, but as any teacher would know, all of the above can and sometimes does occur at multiple instances during one lesson. The point is to illustrate that teaching is not predictable and classrooms are complex. It’s all too easy to say that teachers should be held accountable for results. Yet what is not considered is the many factors that stand in the way of teachers achieving said results. Is this an excuse not to try? Certainly not. Is it reason enough to give the teaching profession the benefit of the doubt and let them do their job without the added stress? Perhaps. Teaching is not a business. It cannot be run like a production line where students simply enter the classroom, teachers do their thing, and the learning just happens. If it was, then sure, judge us on the results. How good would it be if it just worked that way? Just imagine: my VCE history students get awesome results, and I receive a nice little pay rise. Of course, I needn’t mind acknowledging the English teacher who taught the kids how to write essays, and I won’t even consider the sport teacher who helped provide the students with an outlet away from the classroom. And the welfare coordinator who pulled strings to make sure that the students got to the exam on time, pfft. It was all me. I take the credit because I taught them – and these are MY results. It’s that simple right? It’s not like teaching is a collegiate job where many people in the school environment influence student outcomes. But seriously now, as a society we need to rethink our attitude towards the teaching profession. The majority of teachers are passionate, hardworking enthusiasts who became teachers because they wanted to make a difference in peoples’ lives. And sometimes, many times, that difference is not just something that can be measured on a graph. My mum is a teacher. She is a fantastic teacher. She is a great leader, but also compassionate. The most generous woman I am sure I will ever meet. Teaching is not a 9-3 job. My mum had never once been home before 6pm… and she never once left to go to work later than 7am. School holidays don’t exist for teachers. My mum suffers from clinically diagnosed chronic burnout because of her job. I have seen her stay up literally all night under ridiculous demands to get papers marked and reports and programs written for impossible deadlines…. most of a teacher’s job is not in the classroom, it’s preparing for it or dealing with the aftermath. Also dealing with other staff. No offense to other teachers here, but from my own brief experience working in schools it’s my experience that the staff in schools are extremely cutthroat towards each other and just as judgmental to each other as the general public. I would never in a million years be a school teacher after the absolute thanklessness I saw my mum go through and the pain of her job taking such massive chunks of time away from her family. That being said? I absolutely take my hat off to them all. They are amazing people who accomplish miraculous feats. Teachers are responsible for giving every child an OPPORTUNITY to learn. Teachers spend their time, their health – their family’s time – on teaching every child regardless of whether this is noticed or appreciated. There IS however, a role that is based on results – the results of showing someone how to recognise and take opportunities given. The results of showing someone decency, attentiveness and respect for others, the results of being able to recognise the worth of human beings who are – regardless of pay and material values – sacrificing their priceless time, efforts and enthusiasm for your benefit. This role is called parenting. You’ll find there are many ‘bludgers’ in this position – they try to palm it off onto professionals and the government and all sorts of other things. It doesn’t have holidays, but pays well in currencies infinitely more valuable than dollars – the catch is, to be paid, you have to work at it as thanklessly and invisibly as a teacher. The bonus? If you’re good at it, you’ll suddenly find that every single one of your child’s teachers in their life, official or not, paid or not, professional or impromptu, will become worth ten times their weight in gold. Magic. If your child isn’t learning, blame and misplaced envy for those you think have it ‘greener’ may not be the solution you’re looking for. This can all be solved once and for all to prove our teachers do a lot of hours. Swipe on and off cards to prove they do 9 hour days like the rest of us. Take the four weeks annual leave per year like the rest of us and swipe on and off during school holidays to do all that planning and report writing. PROBLEM SOLVED. Sure I’ll do that. I get in at 7:30 and leave at 5:30 most days- but then I work from about 7-10 at home too. And for most of the day either Saturday or Sunday because I can’t access the school over weekends or after 6pm as it’s outside gates have been locked up. And I’ve never seen anyone working any other sort of job on Facebook at work of course. Teachers, should have a performance review every year, just like everyone else out in the work force and their pay increases should be based on student results at the end of the year. If a child goes into their classroom as a D student and excels to a C or B then yes, the teacher has put in the effort with the student and the parents and the child has progressed. Last year, my son had a lazy, narcissistic bullying teacher who did NOTHING for the whole class, except the three teachers pets. Although that statement sounds horrible, in fact, it is becoming a common occurrence with teachers who are so full of themselves and think they are above every other profession out there. Teachers are not the only people who have studied degrees etc to get where they are. Please stop treating parents as idiots. We are not all idiots. When a teacher decides to bully a junior school child or children, do they even realise that they are mentally abusing that child/children and should be held accountable? When the school does not hold them accountable and renders their actions as “not a problem” when a clear problem was seen and written for 3 terms does this make it o.k. for that teacher to have a pay increase? Does this make for a good teacher? No. This same teacher also enjoyed an international holiday for three weeks during school holidays, so the teacher was clearly not working on planning the next term. So why should great teachers, who work hard, plan during their holidays and free time and make such an huge effort to encourage and inspire their students to learn and reach for the stars be lumbered with lazy, bullying, has beens who have changed professions to teachers, who do little if anything to work with the students and to see them excel and are clearly in the wrong profession. Why should everyone get a pay rise? Its should be performance based. If you are a crap teacher, then you will know from your pay scale or Australian grading so that no matter where you apply to work, your grading will follow you. Like wise with a great teacher, all the schools will then want to hire the top teachers. This country needs to weed out the bullying abusive teachers from its system and there needs to be some sort of reporting avenue so that it can be officially investigated and recorded on a countrywide database. I am a volunteer fire fighter and a teacher. So thanks got making sure I still get a pay rise. Just wondering if teaching and all the prep work and afterhours requirements are so overwhelming then why did I get the exact same assignments, notes, tests and exams as my sister who was the year above me at school for more than one subject? A fantastic read and very worthy analysis. My friend and I gave you a mention in our podcast this week. It can be found in the URL above. I have read this tale before, though this is it’s first iteration with Einstein as the student. Just goes to show how far the meme has evolved in order to convince people!The lack of understanding of the scientific method is a failure of education systems across the world more than anything else.As a final thought, when I first read the part about the students taking the pr1srfsoe&#82o7;s brain’s existence on faith, my first thought was, “Why not get an MRI?” Maybe that’s why this story traveled back in time to Einstein’s student days when such techniques were unavailable. Wow just came accross this article and can’t believe how many teachers are sooking. I have never heard so many people of one particular profession complain as much as teachers do. As far as I’m concerned you do not deserve respect all you do is whinge! Here’s a tip if you don’t like it choose a different profession. I’m sick of hearing all of you claim that you deserve more money and that you work harder than anyone else it’s seriously pathetic. Have been teaching for about 40 years. Have heard all the arguments too many times to count.Those who respect teachers, always will. Those who don’t, never will. Whatever!! I just do my job. Quit writing articles…. go on strike and get the pay you deserve! Anonymous. Teachers do have performance reviews for a pay raise. They have to write extensive reports on the results they are achieving and provide a lot of supporting evidence. They also receive constant performance reviews from their colleagues and with the ips system almost all have 1 or 2 year contracts so are only rehired if their performance is up to scratch. No one claimed parents are idiots. Just that their role is as vital as the teachers. In fact the stats I recieved at university were more along the lines of teachers being responsible for about 5-10% of student performance rather than 30%. Especially for younger years. I teach older kids and to be frank sometimes it’s as much as I can do to keep 30 17 year old boys, bigger and stronger than me IN my classroom and not breaking things when it’s the last place they want to be. On those days I feel more like a helpless jail warden than an educator. And I have had classes where I have managed to teach them very little (imagine walking into a class of super low achieving year 10s in term 4 when they are just hanging out for the day they can get a job and quit school and refuse to pick up a pen or pencil to even pretend to work) but I feel proud because I managed to keep them coming to class and safe and managed to engage them in thinking about things that would make them better people or was able to support them through emotional hurdles. Then there are other classes where being in the classroom isn’t draining because you have 25 bright and interested pupils but there is one who already knows three times as much as you about the topic (I am very bright and have a PhD in history but that doesn’t mean I know everything about all Social Studies subjects- I’d never studied economics or geography till I started teaching) and you are constantly trying to keep up to provide work. Yes there are crap teachers. But yes it is a tough job. One I adore and wouldn’t swap for the world. But the point of the article wasn’t that it’s tougher than other jobs it was that it’s no easier so people need to stop bagging it out and that monitoring whether you are a good teacher is about so much more than test scores. I work with one teacher who gets great test scores. Want to know how? She gives the kids the tests as study guides a week before they sit it in class! Guess what- she’s been teaching for 20 years longer than I have and is on a lower pay rate than me. Have a little trust in the system as it is managed by people who know more about it than those commenting from the outside. Until teachers start to respect other professions they will never recieve respect themselves. Stop being so arrogant! Verkligen jÃt¤ieftna sockar och ett fint garn. De mpÃ¥ste du vara nÃ¶jd med.Jag kÃ¤nner igen mig i det du skriver, det Ã¤r sÃ¤llan jag behÃ¥ller nÃ¥gra sockar. Det rÃ¤cker med att sticka dem. Teachers are now demanding another pay rise! Give a pay rise to the people who deserve it like the police,paramedics,nurses or defence force. Teachers job is so easy it’s ridiculous and yet they have the nerve to demand yet another pay rise. Who do teachers think they are? Clearly this was written by a teacher. No person sound of mind would write this article. What one sided opinion! Teachers only work a 9-3! it must be so hard to work a 6 hour day for them!